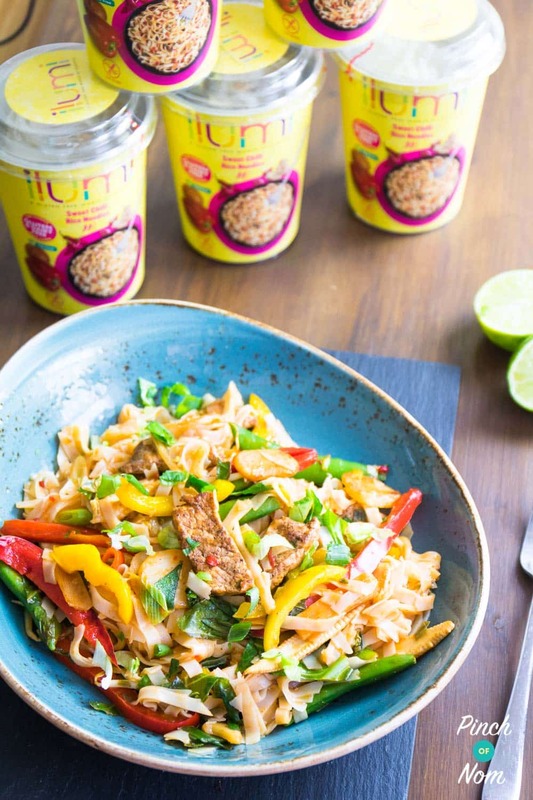 This Low Syn Ilumi Sweet Chilli Stir-Fry, is the perfect gluten free, dairy free, Slimming World lunch/dinner/snack! Packed full of speed food, you can have it on the table in less than 10 minutes. This recipe has been updated inline with Syn Value changes. Please make sure to check the Syns database before you buy any type of pot noodle. 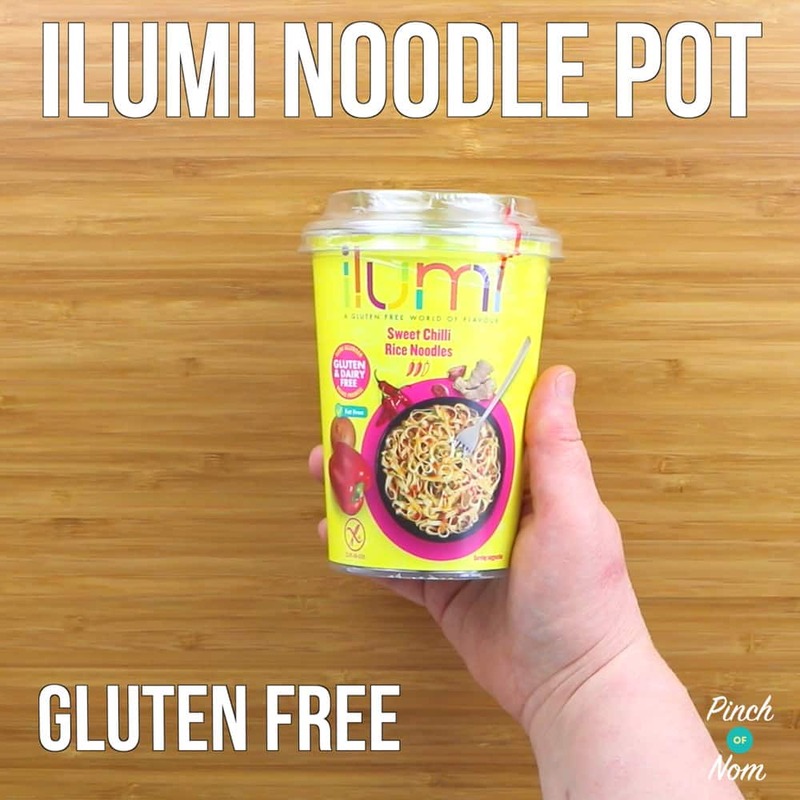 This week (8th-12th May) is Coeliac awareness Week, so we’ve teamed up with Ilumi to bring you this simple, yet tasty spin on one of the Ilumi sweet chilli noodle pots. 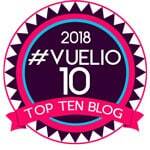 Since we started our Slimming World journey, something we hear from our readers is they just don’t have the time to cook all these fantastic Slimming World meals from scratch every day. 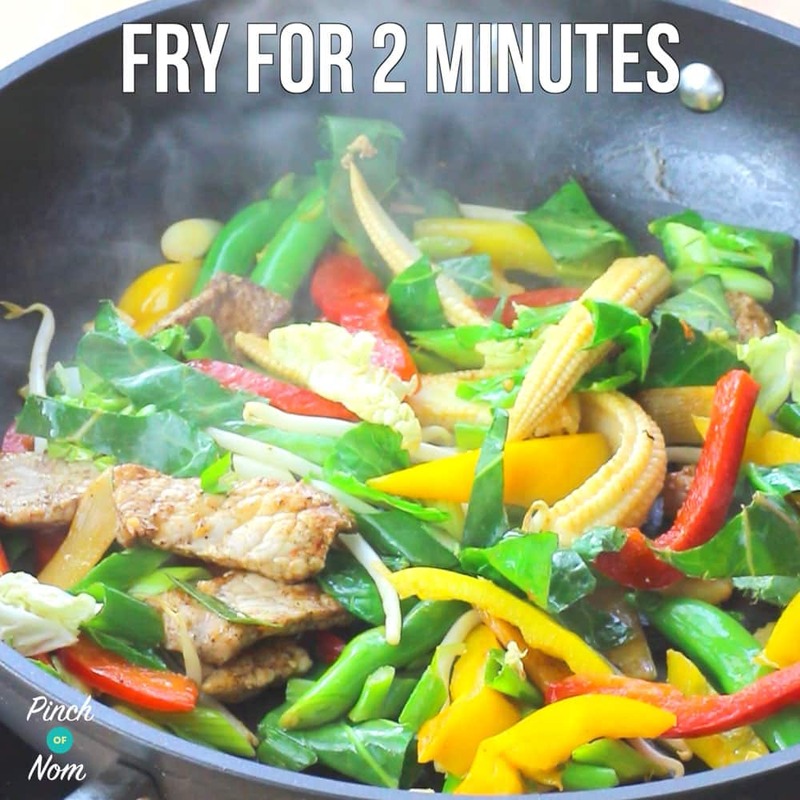 That’s where recipes like this Low Syn Ilumi Sweet Chilli Stir-Fry comes in handy! 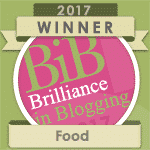 One of the best things about Slimming World is the abundance of quick, easy free food options available to you if you’re a bit short on time. 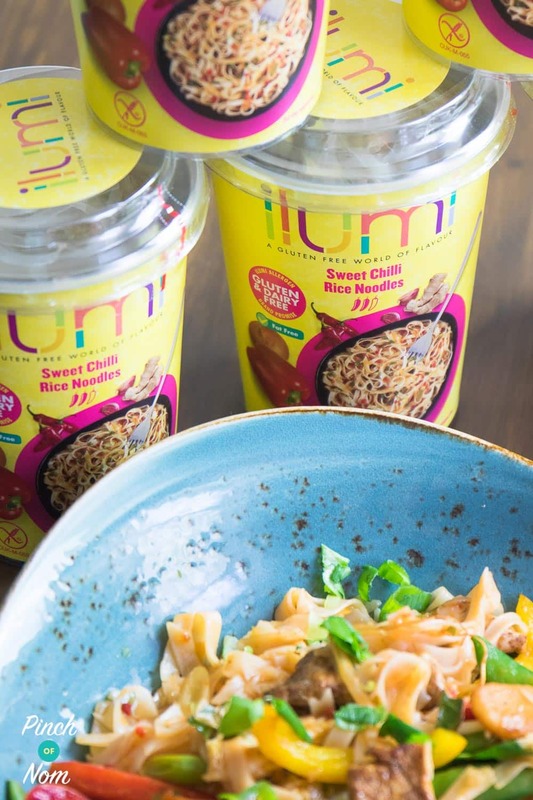 Throw in a few extra ingredients and you can turn something like an lIlumi Sweet Chilli Noodle Snack Pot into a filling meal, packed full of speed food. 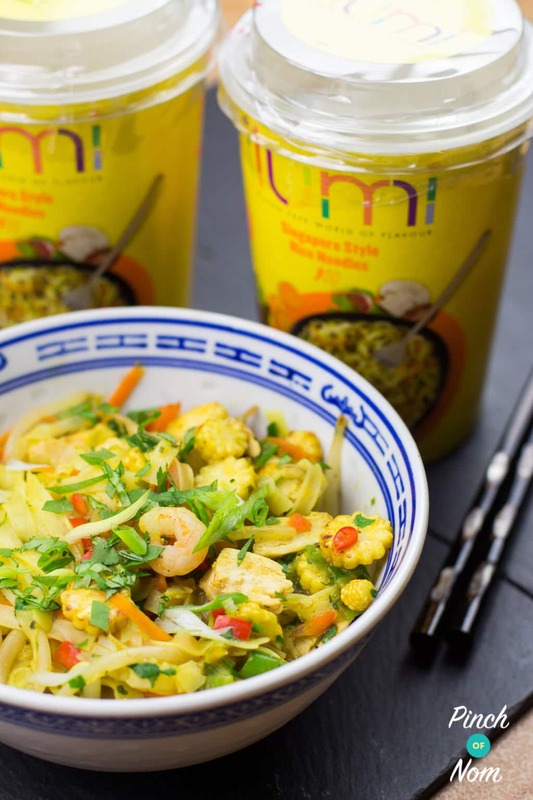 Where can I buy Ilumi Noodle Pots from? 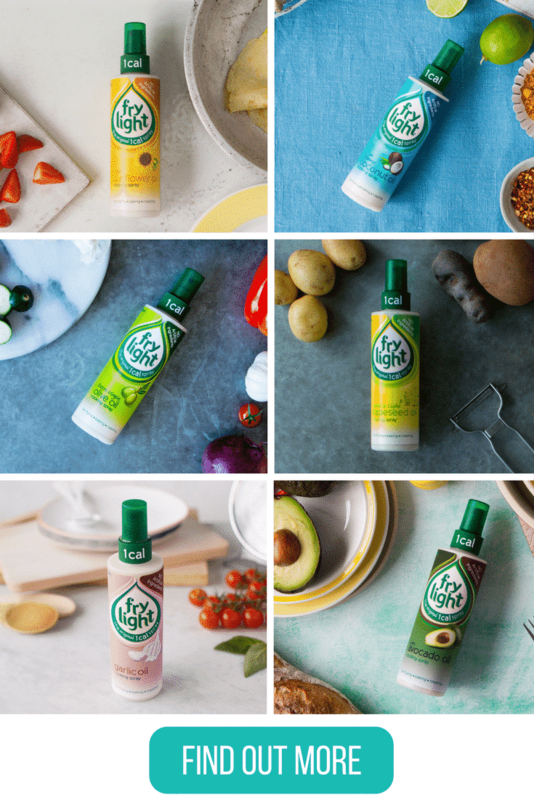 You can find the Ilumi Rice Noodle Pots in Asda, Tesco, Morrisons and Holland & Barrett. 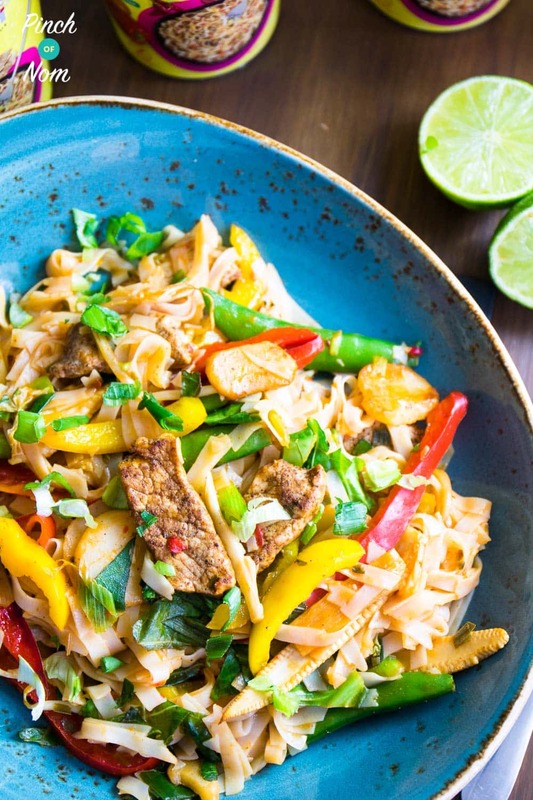 Want more recipes like this Low Syn Ilumi Sweet Chilli Stir-Fry? 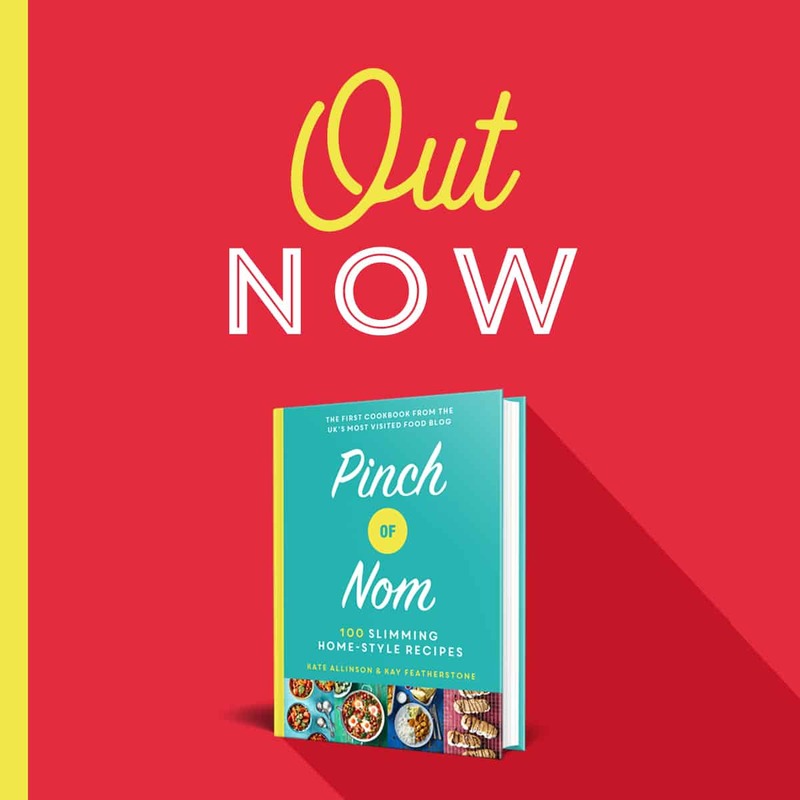 Check out our Slimming World Low Syn Singapore Noodles recipe! 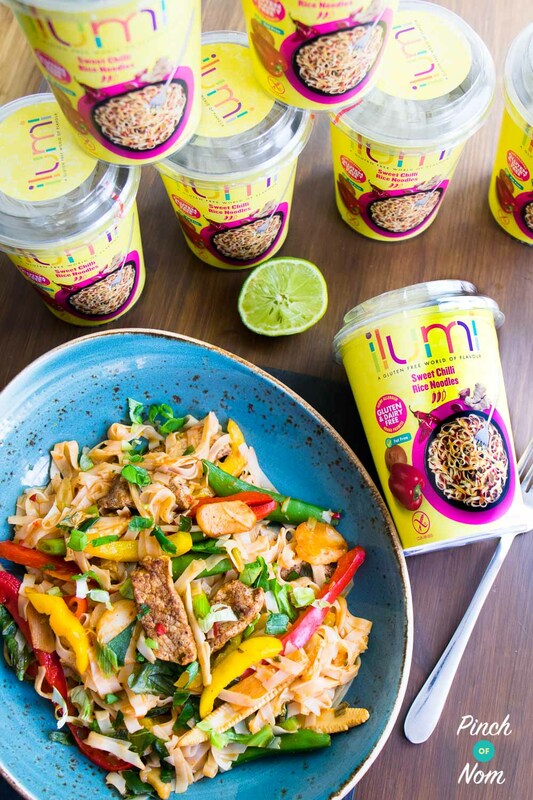 How do I make this Low Syn Ilumi Sweet Chilli Stir-Fry? First, prepare the Ilumi Pot. 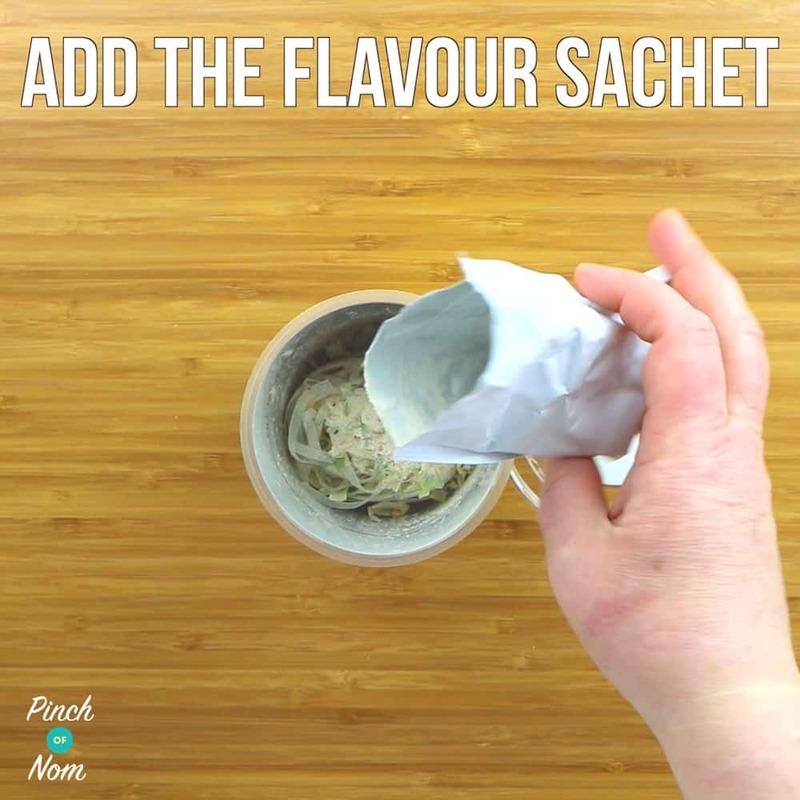 Empty the contents of the sachet into the noodles. Add boiling water to the fill line. 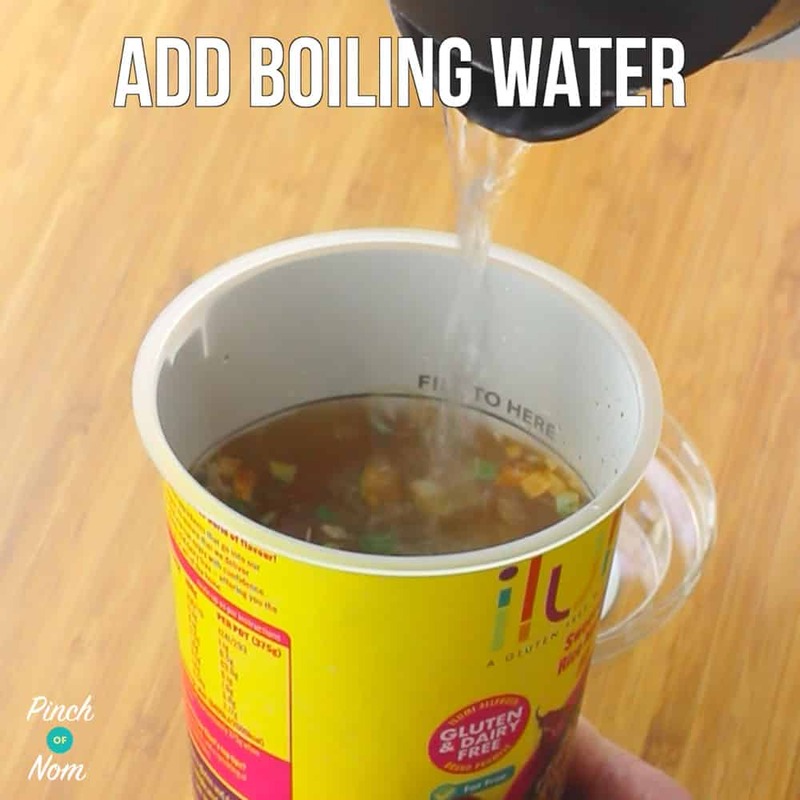 Stir and replace the lid. Leave to stand for 4 minutes. While waiting for the Ilumi Pot season the pork slices with the Chinese Five Spice and sea salt. 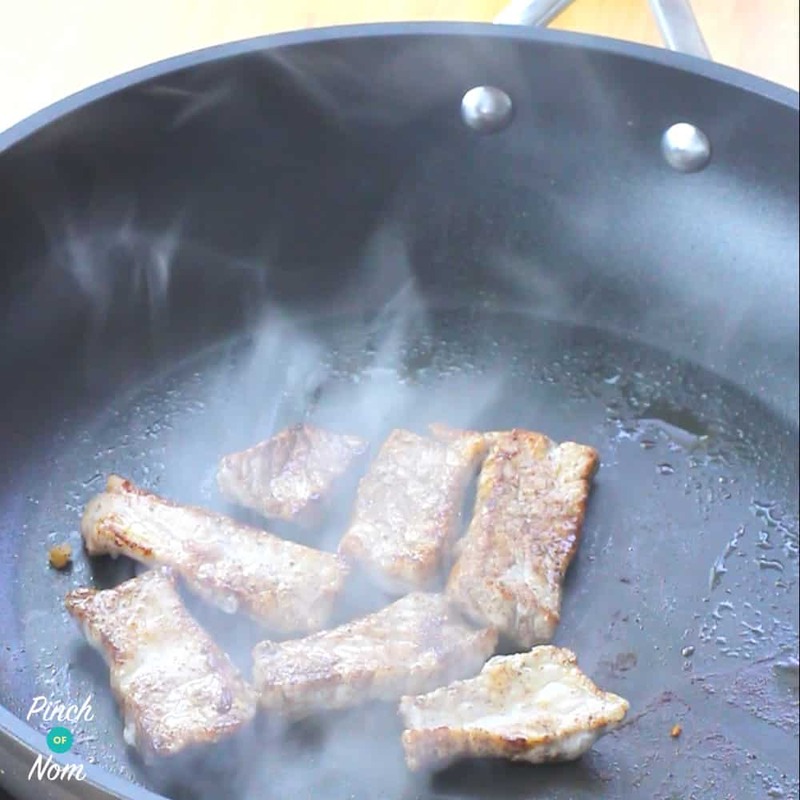 Spray a frying pan or wok with Frylight and brown off the pork slices on both sides. Add the stir fry vegetables, reserving the spring onion and pak choi. Add the spring onions and pak choi. Cook on a high heat for another 2 minutes. 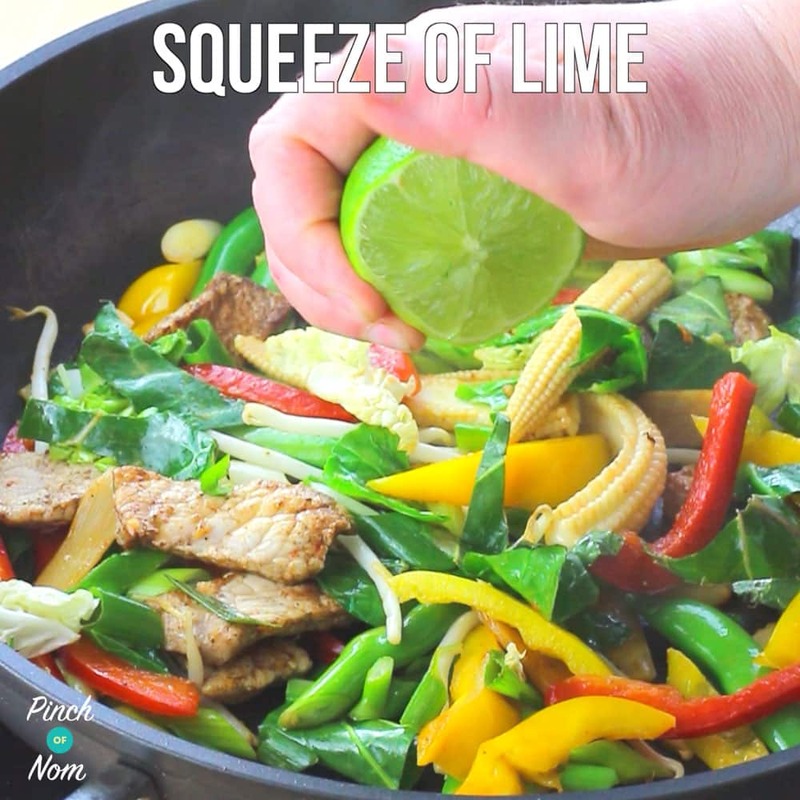 Squeeze in the lime juice and stir. Pour in the Ilumi Pot stir gently and serve. 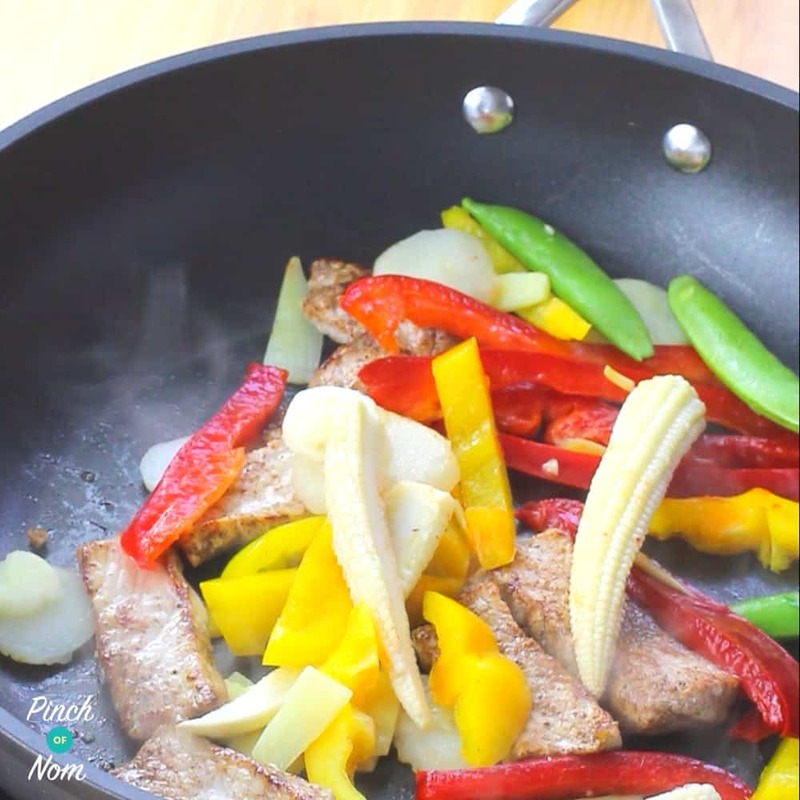 The Sunflower or Olive Oil flavours are ideal for this Low Syn Ilumi Sweet Chilli Stir-Fry recipe.